During the busy week, I will empty my pocket of change and place it on my dresser. When it gets too piled up I will see if there is anything worth a further look before dumping them into a nearby container. After a year, the container is emptied and the proceeds go to charity. But that is after I search for anything interesting. When I pay by cash, I pay using currency and pocket all of the change so that I can see what I find. Most of the time I am able to pick out items that require further examination when the change is handed to me. Those coins are put in another pocket for later. This week there was little time. Projects have to be completed and it is almost time for football season. No time to waste. After four days, I did not think there would be much until the single layer started to grow higher. It was time to scoop them into my jar when I started to nice that a nickel did not look right on first glance. It looked worn but it was a nickel. After looking closer the date said 1902. It is a fairly beaten up 1902 Liberty Head “V” Nickel with scratches and what looks like was once graffiti scratched into the reverse. This coin is so bad off that I do not think the third-party grading services would encapsulate it even for a low-grade registry set! This nickel might be the oldest coin I have found in circulation that wasn’t copper. My next find was interesting because I figured it out before looking closely. Of all the Jefferson nickels, the easiest ones to pick out are the wartime silver nickels. Wartime nickels have a different colored toning than the regular copper-nickel alloy. These coins do not contain any nickel. They are made of .350 silver, .560 copper, and .090 manganese. 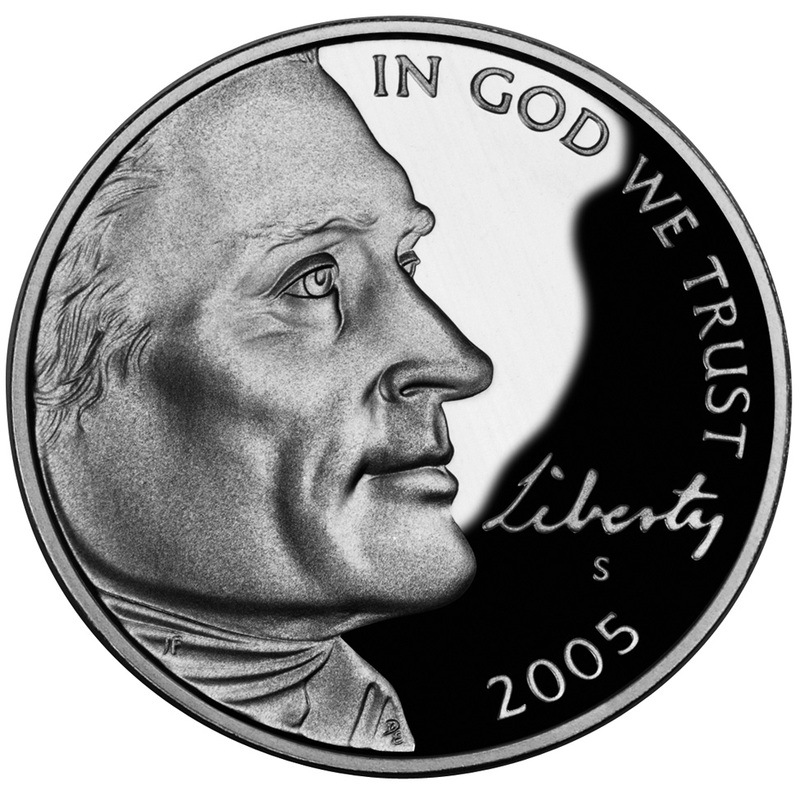 Without the nickel to keep some semblance of shine the wartime nickels will tone to a distinctive dark silvery gray. If graded G-4 the coin is worth about $1.20 which is not bad considering its silver value is $1.04! The final find was also easy to identify even before a more careful look. Peaking out from under another coin was the clear sign of an acid date Buffalo nickel. An acid date Buffalo nickel is a coin that had its date restored using a chemical acid, although in this case it looks like the date was worn down after the acid treatment. The distinctive mark left by the chemical can be seen even though the date has worn away again. Other than the nickels I continue to find wheat-back cents. I seem to average one per week. This past week I found four with the oldest being a fairly common 1919 cent that looks like it has been well used and cleaned. POLL: Should we bring back the Buffalo nickel? After reporting about the petition to return the Buffalo nickel to circulation, I thought I would ask my readers. Since I have not updated the polls for a while, I thought this was a good topic to begin this week. While I love the design by James Earle Fraser and have starting hoarding Buffalo nickels during my estate finds, I am not sure that this is a design that would work on today’s nickel. Collectors of Buffalo nickels can tell you that while a great design the elements do not wear well especially on critical high points, such as the buffalo’s horn. Possibly a better idea is to bring back the design of the 2005 Westward Journey American Bison nickel. Aside from having a better portrait of President Thomas Jefferson than the one currently in use, the bison on the reverse appears to work better on modern coins. Maybe the bison can be given a new look, but it would be a better version for today’s market. Should we bring back the Buffalo nickel? Yes, it is a great coin design! Westward Journey nickel imaged courtesy of the U.S. Mint. Bring back the Buffalo nickel? If you missed the news, a few days ago President Barak Obama signed the National Bison Legacy Act (Pub. L. 114-152) that names the “North American Bison” the national mammal. The bison does not replace the Bald Eagle as the national animal or the national emblem. The bison is an iconic animal unique to North America. Discovered by the European settlers as the country expanded west, the bison was significant to the economic and spiritual lives of the native tribes throughout the Great Plains areas. Bison is important to the ecology of the landscapes where they are located. Bison eat a certain type of grasses that are said to be difficult to control. The bison act as a natural “ predator” and not only consumes these grasses but also helps maintain control over the vegetation through consumption and feeding what is left through their waste. Although conservation efforts began in the late 19th century, a bison population that used to number in the millions the 2012 Department of Agriculture census said that there were 162,110 heads. Up until the last 50 years, we have done a bad job of taking care of this national resource, now national treasure. When numismatist thinks of the American Bison, the thought turns to the Indian Head “ Buffalo” Nickel designed by James Earle Fraser. Fraser, a student of Augustus Saint-Gaudens, continued the path of Theodore Roosevelt’s “pet crime” to design a coin that screams America. The reverse of the coin is an American Bison that we erroneous call a buffalo. According to legend, Black Diamond was Fraser’s model for the reverse of the Buffalo nickel. Black Diamond was a North American bison that was living in the Central Park Zoo. He was donated to the zoo by Barnum and Bailey and lived his life there until he was auctioned in 1915 to a game and poultry dealer who was later sold as steaks for $2 a pound. When asked about the model for the coin, Fraser said it was Black Diamond and found him in the Bronx Zoo. At one time Fraser was not sure of the name of the animal but insisted his influence was at the Bronx Zoo. Black Diamond was never at the Bronx Zoo. But like the story of who was the model for the Indian on the obverse, why should facts spoil a good story! With the signing of the National Bison Legacy Act there are groups that wants to bring back the Buffalo nickel. Someone started a petition at the online petition website Change.org to convince the U.S. Mint to return to bring back the buffalo nickel. Even though the U.S. Mint is the wrong agency to address this petition to since it would require an act of congress, the Fraser Buffalo design is still used on the 24-karat gold bullion coin. In fact, not counting varieties, mintmarks and strike types, the bison has appeared on eight different coins and one Legal Tender Note. If you want to put together a nice type set, it would require 22 different coins and the 1901 $10 Legal Tender Note (see “Collecting a Herd of Buffaloes” for this discussion). I do not know if returning the Buffalo nickel is a good idea. While it was an iconic design, it was one that saw considerable wearing while in circulation. If someone wants to bring the buffalo back to United States coins, maybe we could consider the 2005 Westward Journey nickel with the American Bison reverse. It also has a better portrait of Thomas Jefferson than is currently used. If you would like to virtually sign the partition, visit Change.org and register your vote. Bison images and the Type 1 Buffalo nickel reverse courtesy of Wikipedia. Every evening I empty my pockets and look at the change that I accumulate during the day. Since I almost exclusively use cash (it is safer than credit cards), I end up with at least a dollar in change. Last week, I pulled out my change and took a glance and saw a nickel that was a bit darker than the others. Moving it aside so I can look in a better light, I was able to separate a bicentennial quarter and wheat back cent from the other coins before dumping the rest into a pitcher I keep on my dresser. After dropping the quarter and wheatie into a bank where I save these coins, I picked up the dark nickel and went to find a better light. To make things easier I looked at the reverse to see if it was I suspected and found a large “P” over Monticello confirming that I found a war nickel. For the date, I needed to find my loupe to help my aging eyes focus to tell me that I found a 1942-P war nickel. War nickels were struck by the U.S. Mint from mid-1942 through 1945 of an alloy that contained 56-percent copper, 35-percent silver, and 9-percent manganese. Removing the nickel and reducing the amount of copper used in these coins helped save these metals so that they can be used to produce military supplies. One specific need was the copper that went into the brass alloy used to produce bullets. Looking at the coin and various grading images, if I sent it to a third-party grading service to be graded, it would probably be returned as a VG-8 since it has a little more definition than a flatter G-4. It could be argued that since the rims are more defined that it could be closer to a VG-10, but I would not represent this coin at that grade—besides, it is not for sale! Given that, what kind of profit did I made over the 5-cents face value. 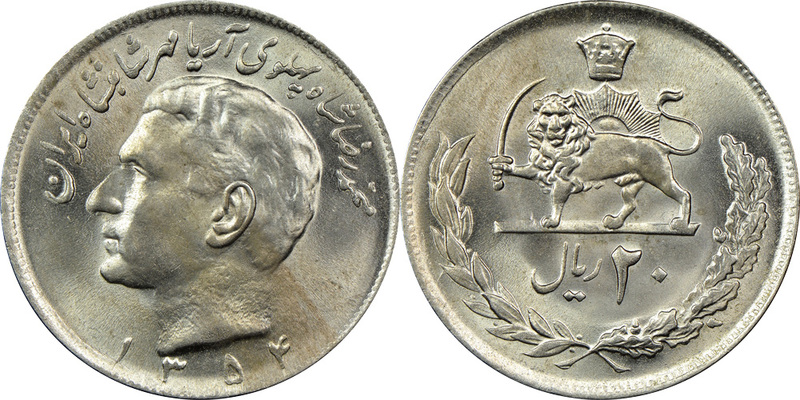 According to the NumisMedia Price Guide, the current value of a 1942-P war nickel in VG-8 condition is $1.01. That is a 96-cent profit! But what about the silver value? As I type this, Coinflation reports that the metal value of the coin (at the time writing this) is 85-cents with the silver value of 84-cents. That price is based on 0.0563 troy ounces of silver with the current price of silver at $14.88 per troy ounce. Either way, I made a small profit on the coin and will add it to my hoard of interesting pocket change finds. As part of its ongoing study of alternative medals to be used for coinage mandated by the Coin Modernization, Oversight, and Continuity Act of 2010, (Public Law 111-302 [PDF]), the U.S. Mint is seeking comment from “ stakeholders” as to the impact expected if congress was to approve a change in coinage metals. The Request for Comment (RFC) was published in the Federal Register (79 F.R. 19971 [PDF]) asking for stakeholders to provide more input to its ongoing research effort. Although the U.S. Mint does not define who they consider stakeholders but does mention the “coin industry” in one paragraph, the guideline questions are clearly targeted to the coin-operated machine industry. Coin-op machines are more than the soda and candy machines that may be in the break room where you work. These machines include toll booth machines, machines that produce bus and/or train fare cards, parking meters, game machines, and even the few pay telephones that are still in use. Everything that accepts coins will have to be replaced, repaired, adjusted, or scrapped should there be a change in coinage metals. The trouble that the United States is in for can be seen just across the border in Canada. Although the Royal Canadian Mint produced test tokens that anyone could have used to verify and adjust their systems two years prior to the introduction of the new Loonie (C$1) and Toonie (C$2) coins, Canadian news followed the trials and tribulations of many communities whose parking meters and other parking-related systems would not accept the new coins. In the United Kingdom, the Bank of England and law enforcement is engaged in a difficult fight against counterfeit £1 coins. Sources estimate that between 3-percent of the £1 coins in circulation are fake amounting to more than 45 million counterfeit coins. These fakes are so convincing and very well constructed that they can be successfully used in vending machines for payment including in London’s Underground. In an attempt to stem the problem, the Royal Mint has designed a new £1 coin to be circulated by 2017 in hopes to cut the counterfeiting rate. New edge view of the coin the Royal Mint hopes will be able to thwart counterfeiters. Changes in the Loonie and Toonie were subtle as compared to the changes in the £1 coin. While the size of the coin will remain about the same, it will go from being round to have 12 sides. Rather than it being make of one metal, the new coin will be bi-metallic with a yellow metal on the outer ring and a silver-colored inner core. Rather than the edge being milled with a single incuse inscription, the edge will have alternating milling and the year in Roman numerals on each of the sides. The coin-operated businesses in Britain are beginning to complain about the changes even though they are being given nearly three years to adjust. For their systems, the new coins will have a different weight, specific gravity, and the electromagnetic signature will differ from the current coin. Every system from the Underground to parking systems to food and beverage vending machines will have to be upgraded to accept the new coins. One report estimates that it will cost up to £50 million (approximately $82.3 million) just to update parking systems. The Automatic Vending Association, the U.K.’s vending industry trade group, estimates that the new coin will costs its members over £100 million ($168.5 million) to convert their machines. Expect the costs in the United States to be much higher mainly because of scale. The National Automatic Merchandising Association (NAMA), the $45 billion per year vending industry trade association in the United States, has already issued a report saying that it will cost from $100 to $500 per machine to convert them to accept new coinage. The American Amusement Machine Association (AAMA) has come out against any change in U.S. coinage. It was reported that AAMA president John Schultz said to leave the coinage alone “because it works, rather than risk the costly consequences.” AAMA has not provided an estimate for those costly consequences. The last significant change in coinage composition was in 2000 on the introduction of the Sacagawea “Golden” dollar coin. Following the debacle of the Susan B. Anthony small dollar coin that was mistaken for a quarter, the coin was redesigned without a reeded edge and given a golden color by adding manganese to the metals mix. Although this change primarily impacted the gaming industry that relied on the dollar coin, the vending machine industry did respond by converting old machines and manufacturing new ones that accepted the new coin. Previously, the one cent coin went from being made of 95-percent copper and the rest zinc to being made of 98.5-percent zinc with a copper coating. Not only did this change occur in the middle of 1982, but it created seven collectible varieties of coins that are not that expensive to own. Although this change did not affect many industries, new automated cash registers being used primarily at grocery and home improvement stores can accept both the copper and zinc coins without problems. Any discussion of coin composition changes has to include the change from silver to clad coinage. When President Lyndon B. Johnson signed the Coinage Act of 1965 (Pub. L. 89-81) into law on July 23, 1965, the composition of the dime and quarter dollar was change from 90-percent silver and 10-copper to 75-percent copper and 25-percent nickel bonded to a core of pure copper. This mix of metals was selected so that the coins would have an electromagnetic signature that was very similar to their silver counterparts. The half-dollar was reduced to 40-percent silver surrounding a pure copper core. This change in coinage was done for the same reason that congress has asked the U.S. Mint to study alternative metals: the cost of materials and labor to make the coins is higher than the face value of the coin. As of the Fiscal Year 2013 (October 2012-September 2013) Annual Report, it costs the U.S. Mint 1.83 cents in labor and materials to manufacture the one cent coin and 9.41 cents for the five cents coin. As a comparison, the cost for the dime including labor and materials is 4.56 cents per coin while the quarter dollar costs 10.5 cents to make. 1853 Braided Hair Half Cent Obverse – The last lowest denomination coin eliminated by the congress. Does the U.S. eliminate the one cent coin? Does the U.S. eliminate the one dollar note in favor of a coin? If a transition to new metals is approved, does the government provide economic assistance to small businesses and sectors that will feel a bigger impact from this change? Will the federal government provide assistance to communities to help convert municipal services to be able to take the new coins? Should the U.S. Mint, a government agency, be allowed and/or required to earn a profit from its operations? How will the people be educated on the new coinage? What role will the Federal Reserve play? Transition time needed to introduce a circulating coin composed of an alternative metal. Comments on how best to inform and educate both affected industries and the public on changes to circulating coins. Environmental impact from the use of circulating coins composed of alternative metals. Other issues of importance not identified above. When commenting, note that the U.S. Mint said it is not considering aluminum alloy metals. Responses are due to the U.S. Mint 60-days following its printing in the Federal Register (April 10, 2014 making the due date June 9, 2014). Electronic comments can be sent to Coin.StakeholdersResponse@usmint.treas.gov. If you prefer to send your comments the traditional way, mail them to Coin Stakeholders Response, Office of Coin Studies, United States Mint, 801 9th Street NW., Washington, DC 20220. If you do comment and would like to share what you said with the rest of the community, either send it to me via email or post it as a comment below. Photo credits: All photographs are the author’s except the image of the Toonie from the Royal Canadian Mint and the One-pound coin prototype from the Royal Mint. AIP Artist Joe Fitzgerald autographed this 2005 Westward Journey Nickel. They used his design. In an interesting move, the U.S. Mint has partnered with the National Endowment for the Arts (NEA) to judge and select artists for the Artistic Infusion Program (AIP). Since its establishment in 2003, AIP artists have submitted many successful designs for all types of coins. One of my favorites of the last 10 years, the obverse of the 2005 Westward Journey Nickel, was designed by AIP artist Joe Fitzgerald. Not to take anything away from the U.S. Mint’s sculptor and engravers, the infusion of outside talent does help with design as long as the law authorizing the coin does not handcuff the design process by specifying the design or elements of the design. Left to their own creative abilities, the U.S. Mint and AIP artists have produced some very good designs. Are you an artist? Do you have what it takes to design coins and medals? Remember, this is paid gig with artists receiving $2000-3000 per submission, depending on years active in the AIP program. Those whose designs are selected to be used on a coin or medal will receive an additional $5000. This is money on top of your other work, so you do not have to quit your day job! Aside from being paid, your initials will appear on all of the coins produced from your designs and your name will be recorded in numismatic history. In years to come, new collectors will open their reference guides and see the name of the artist who designed their coins. While some artists work are sometimes lost to history, this is one way to make your mark on the world by designing a United States coin. Do you think you have what it takes? Then read the “CALL FOR ARTISTS” release from the NEA. Application deadline is January 10, 2014. Also note that applications will only be accepted at grants.gov. Make sure you read the “How to Prepare and Submit an Application” information. If you do submit an application, please let me know. I would be interested in tracking your progress and writing about it for everyone to read.